Have you ever considered how replacing your windows could substantially boost your property value? Well since the Home Renovation Incentive (HRI) Scheme launched back in 2013, homeowners across Ireland have been doing just that. Home extensions explain the largest amount of work carried out under the scheme (34%), closely followed by general repairs and renovations (25%), whilst window replacement came a close third; accounting for 10% of the work carried out. New double-glazed windows truly have the power to add appreciable value to homes, depending on the material and style of course. 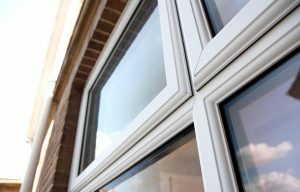 Having carried out many high-quality window installations ourselves over the years, we can sincerely vouch for this and so can our satisfied customers. Take some time out and have a read through our online reviews via Google and Facebook to find out why. You may be thinking ‘my windows are fine, they don’t need replacing…’ However, if more than one of the following scenarios apply then there may be room for improvement! Now that we’ve pointed out some worry aspects that your own windows could be displaying, the Turkington Windows team have created this comprehensive guide to help you fully understand what you should initially be looking out for before investing in new windows. With a range of finance options available, don’t hesitate to get in touch for any further information required.